Note: This review contains many spoilers. Specifically I discuss characters who die in the Five Venoms. If you don't want to know who lives or dies, do not read this review until after you've seen the film. 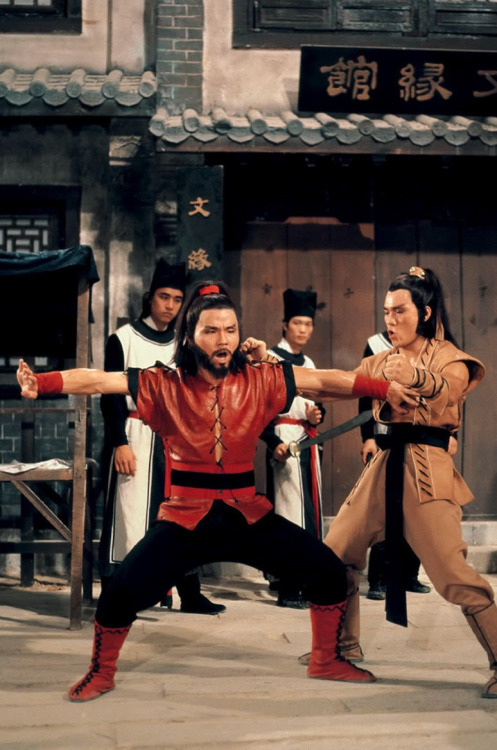 Directed by Chang Cheh and released by Shaw Brothers in 1978, The Five Deadly Venoms is a cult classic that has had an enormous influence on pop culture. Its effect can be seen in rap lyrics, movies and video games. 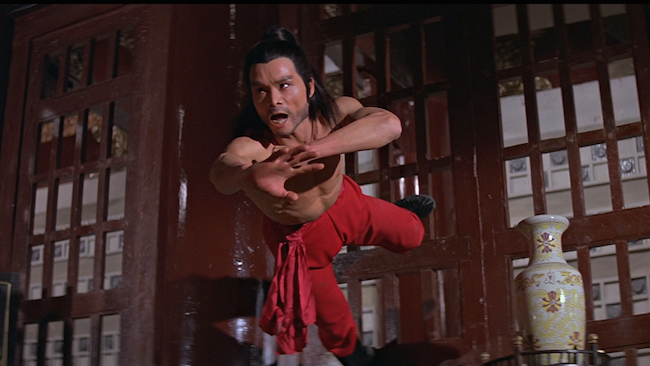 It is more than a cult classic, The Five Deadly Venoms is an iconic martial arts film that is deservedly held in high regard by a wide ranging audience. 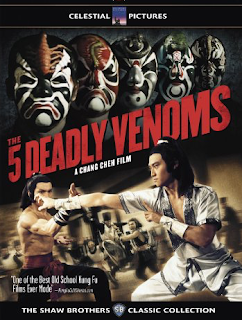 Despite its later reputation, The Five Deadly Venoms was not a huge financial success when it came out, which is why there was never a direct sequel. Many of the actors appear together in films before and after, often with Chang Cheh at the helm, and these are sometimes labeled "Venom Films" but they were not sequels or prequels, they were just a stable of actors who worked well together and the director liked. In places like the US these movies were sometimes marketed as sequels because of its international popularity. For example The Crippled Avengers was titled The Return of the 5 Deadly Venoms in North America. The actors are sometimes called the Venom Mob, a term that isn't that different from the Rat Pack. The film stars Lo Meng (Toad Venom), Kuo Chui (Lizard Venom), Wei Pak (Snake Venom), Sun Chien (Scorpion Venom), Lu Feng (Centipede Venom) and Chiang Sheng (Yang De). While the characters all have additional names and assumed identities in the movie, to avoid confusion, I refer to them soley by their Venom Sect names. The movie opens at the Venom House, where the Master of the Venom Sect is dying and being treated by his last student, Yang De*. He tells De that there used to be five other students who each trained in a style based on a particular venom (Centipede, Lizard, Snake, Toad and Scorpion). That they went forth into the martial world and started using the house's Kung Fu to bring harm ruining their sect's reputation. Before he dies, he asks De to eliminate the senior students who continue on an evil path and to recover one of their treasures. Because the Venom House is so poorly regarded all five of the former students have assumed new identities and are in hiding. De has learned a small portion of each of the five styles but is told by the master that he is no match for their skills. He will have to learn from one of them if he is to succeed. This sets the stage for a story of brotherhood, intrigue and murder. De plays the fool to uncover his senior brother's identities. Three of the brothers, Scorpion, Snake and Centipede, conspire to take steal the treasure, and commit murder to learn its location. Toad and Lizard abide by their master's teaching, with the latter living as a local law enforcement official. After Centipede and Scorpion kill Bookeeper Yuen in an effort to learn the treasure's location, Lizard leads the investigation and arrests centipede with the help of Toad. This is where the intrigue begins as Snake, who is wealthy and influential, bribes local officials to reverse the court's verdict and have Toad arrested instead. In the wake of Toad's execution, De teams up with Lizard and the two train together. Centipede and Snake eliminate anyone who can trace the real murder back to them. Their methods are nasty but effective. Snake Expresses regret to Scorpion (who wears a mask so the viewer is uncertain of his identity), and asks when they can stop killing. Scorpion tells him they can never stop killing. De and Lizard devise strategies for dealing with each of the Venom's unique styes. Lizard utilizes lightness Kung Fu to leap high and walk on walls, so most of their tactics center on positioning. When they are ready they go to Snake's estate to confront him and are joined by Lizard's former superior. De, snake, centipede and lizard battle it out, with the former superior hanging out in the background. Just as things turn in the hero's favor, the superior reveals himself to be Scorpion by poising Snake with his barbs. Centipede and Scorpion then team up against De and Lizard. They eventually kill Centipede and are helped by a dying and remorseful Snake dispatching the Scorpion. The film ends with the pair finding the map to the treasure on Scorpion's body and vowing to give it to charity. There is not as much action as one might expect in the Five Deadly Venoms. That isn't to say it is action light, just that it has a story to tell and devotes ample time toward that end. However this isn't something that one really notices while watching because the story itself is so captivating and the characters really draw you in. And the action, when it does break out, is diverse and engaging. Because each venom has a unique style, it makes every fight unique. Toad is a strongman who is largely impervious to weapons, while Snake relies on sharp hand strikes and scorpion is a master at kicking. Centipede attacks with a flurry of limbs while Lizard and De have much more acrobatic modes of attack. This make the fight between Centipede and Toad very different from the one featuring Toad and Snake, for example. One thing I really like about the action sequences are the acrobatics, particularly in the final fight. 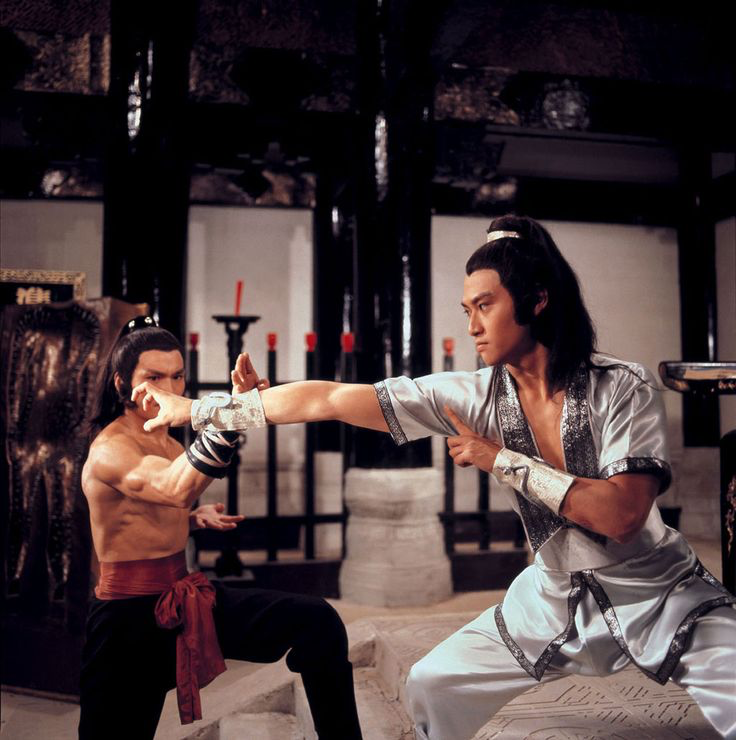 Chiang Sheng, who plays De, and Kuo Chui, who plays Lizard, have solid backgrounds in these sorts of stunts and it shows on screen. Lo Meng as Toad has the right physique for the role. When swords bounce off arms and chest, you believe it because he is so imposing. And he brings a great deal of charm to the character, a sort of simple but likable hero. At the start of the film the Toad is frustrated because he can't use his Kung Fu while concealing his identity. When fighting breaks out, he is clearly in his element. 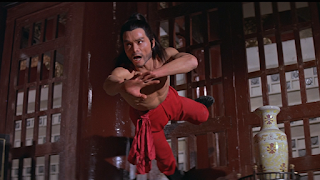 According to Stephen Teo, The Five Deadly Venoms is an example of the yang gang hero movie, a more masculine and tough character that came to dominate martial arts films in the 1970s. Like many of his films, The Five Deadly Venoms features very few women. Chang Cheh was known for featuring male heroes and avoiding female heroic leads or support. In my review of Golden Swallow I mentioned that he gave Chen Pei-Pei a more diminished role in the Come Drink With Me Sequel and this created tension between the two. His films are definitely very male focused, and they sort of chart with the decline of female leads over the decade. Personally I think wuxia is a genre that really benefits from giving both men and women prominent roles; it enhances the action and choreography in my view. And this is something people do occasionally criticize Chang for. However one cannot deny Chang Cheh's talent. He may have had a preference for male leads and not as interested in female fight sequences, but he made good use of the format that appealed to him. His film One-Armed Swordsman is a masterpiece, and the Five Deadly Venoms is a cult classic with a rich story and captivating characters. Chang Cheh takes violence and bloodshed to artistic heights in his movies. The climactic scene in Golden Swallow is so excessive in its brutality that it nearly crosses the line into the ridiculous, but Chang Cheh manages to walk that line and make it powerful, almost religious. By the same token, Five Venoms is a violent movie, particularly in the second half. But it isn't violence without a purpose, it is in service to the story. Characters are tortured, their ears are stabbed out, and they get skewered in Iron Maiden-like devices. In one of the more horrifying scenes, The Toad is executed by having wet pieces of fabric or paper placed over his mouth until he suffocates. It is uncomfortable to watch, especially since he is one of the more likable Venoms. However all this violence helps demonstrate the corruption of the setting and helps invest us in the heroes for the final battle. When the end finally comes, the viewer despises the Scorpion and the Centipede (and to a lesser extent The Snake). Chang Cheh tells gripping stories written in blood. In terms of gaming, there is a lot to inspire in The Five Deadly Venoms. The initial set-up alone would be the great basis for an adventure or even a campaign: where a party has to find their former brother who have gone into hiding and taken on new identities. There is also a murder mystery, buried treasure, a corrupt court and a stable of villains. One thing that the movie would suggest to a GM is how to conduct a mystery with characters coming at it from potentially different angles. Basically you have three sets of characters initially who drawn into the mystery in different ways and for different reasons. The players don't necessarily have to be the "investigators" in such a scenario. It is also a perfect Situational Scenario. The Five Deadly Venoms is a well told story, with stark characters and well creatively executed action sequences. Its influence has been colossal, and this isn't an accident in my view. I strongly recommend it to anyone, not just martial arts fans. I also think it is good viewing for Gamemasters. *I've also seen this as Yang Tieh and Yang Da. It is a great film. Looking forward to your Mythic China book. In regards to female fight scenes...it is painfully apparent that very few actresses that appear in Shaw Brothers' films, were trained like the actors in terms of physicality, martial arts, stunts and acrobatics. If you look closer at some of the fight scenes that do involve female characters, you will see they often have an actor in drag to double for the actress. Snake Venom is better known as Wei Pak or Wei Pai. Hey Lady Cao Feng. Thanks. That is quite a mistake I made. I will make the change to reflect your correction. Like your blog by the way.